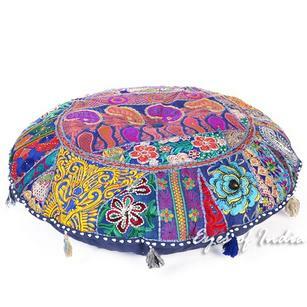 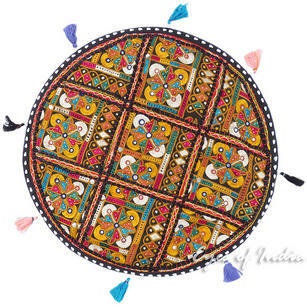 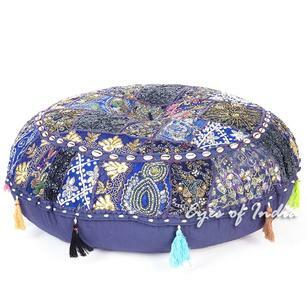 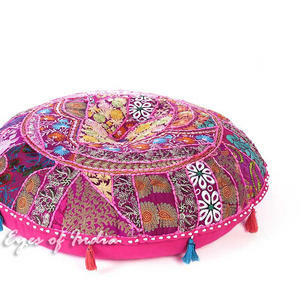 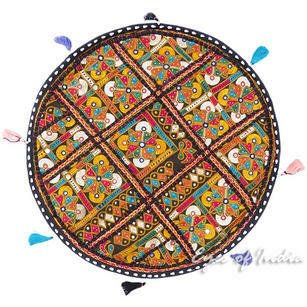 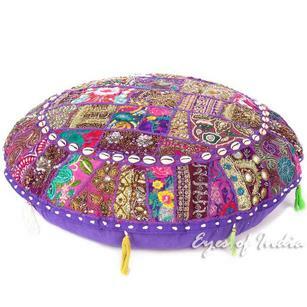 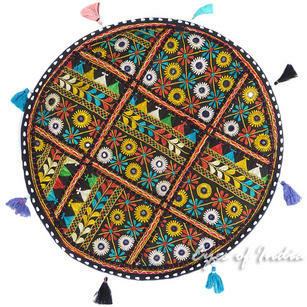 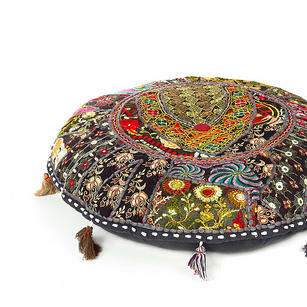 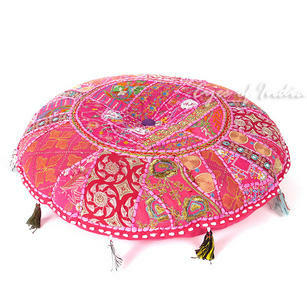 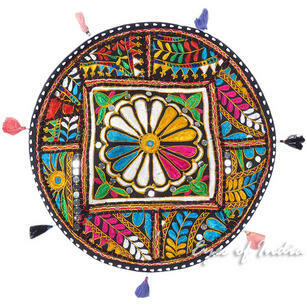 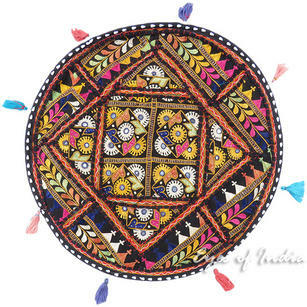 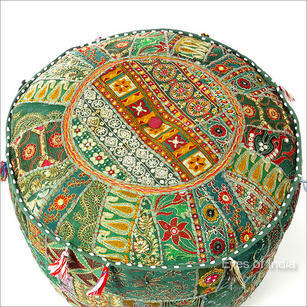 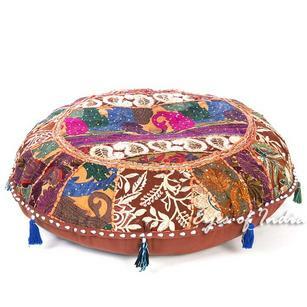 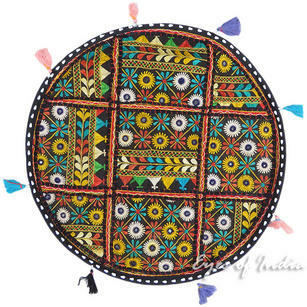 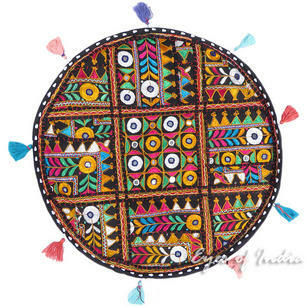 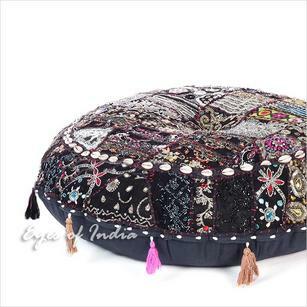 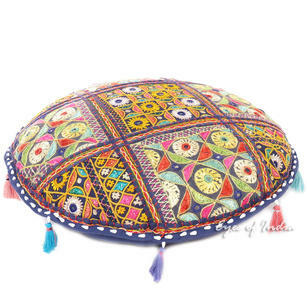 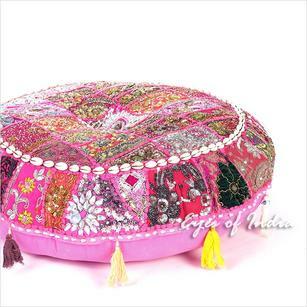 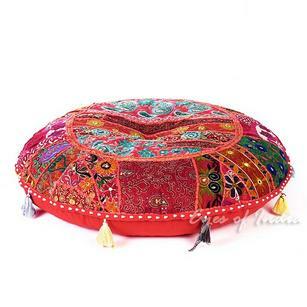 | Black Colorful Patchwork Decorative Rajkoti Round Floor Cushion Bohemian Seating Pillow Throw Cover - 22"
Black Colorful Patchwork Decorative Rajkoti Round Floor Cushion Bohemian Seating Pillow Throw Cover - 22"
Presenting Rajkoti floor cushion covers, a collage of vintage fabrics from wedding dresses, lenghas, and saris on cotton backing. 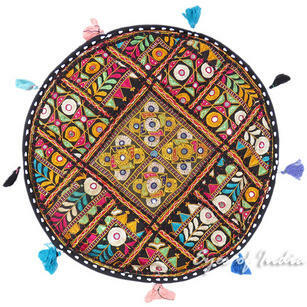 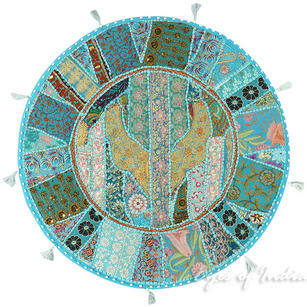 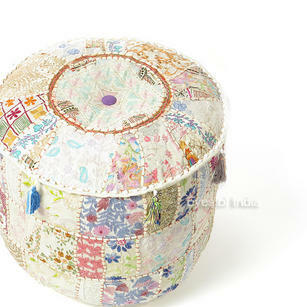 Each piece is a unique mosaic of gorgeous hand embroidered patchwork. 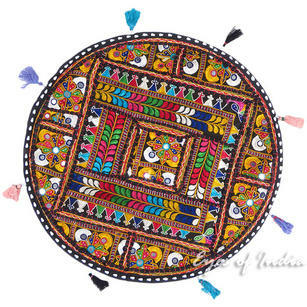 No two patches are alike, making each cover truly one of a kind. 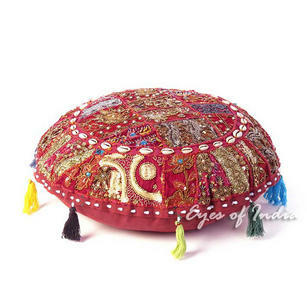 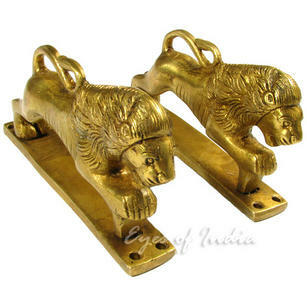 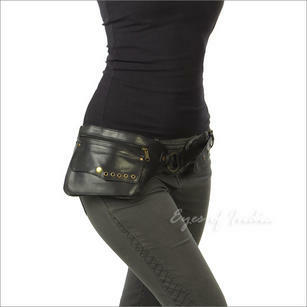 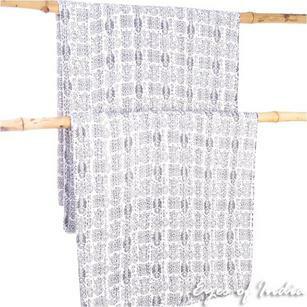 This handcrafted product is made in India by skilled artisans.. 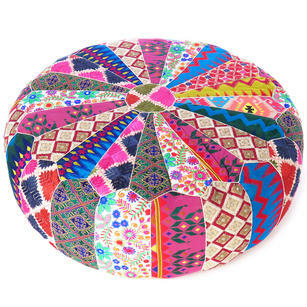 It packs flat for easy shipping. 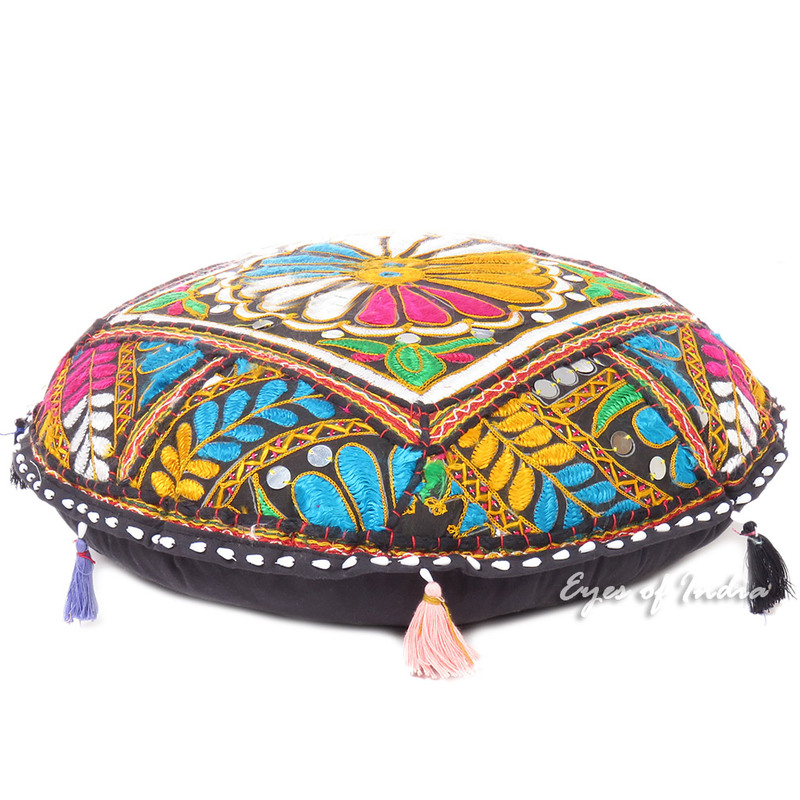 The filling is very easy to do at home; from the bottom opening, you can fill this beautiful cushion cover with polystyrene, polyfiber, cotton, or scraps of fabric. 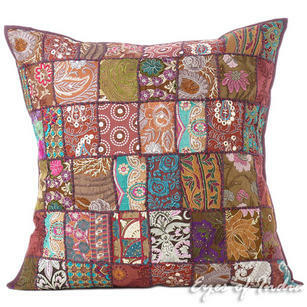 Get two or more to add colour and texture to any space. 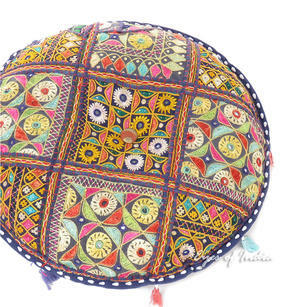 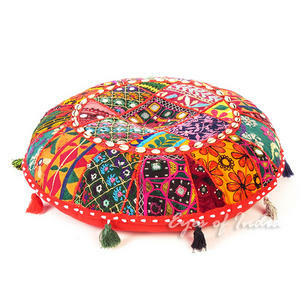 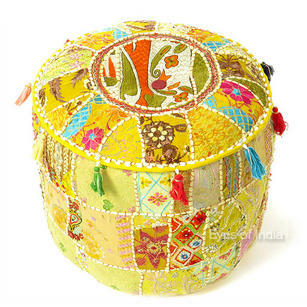 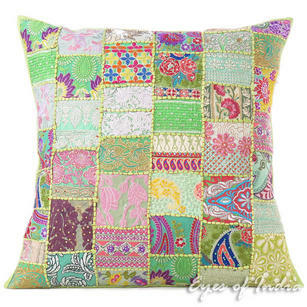 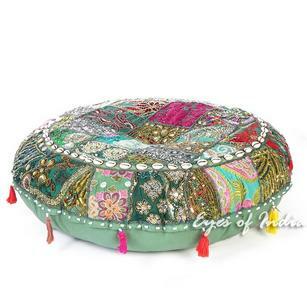 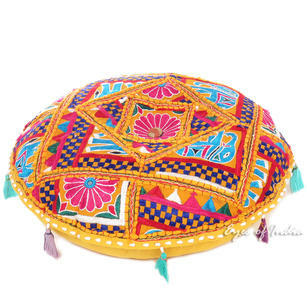 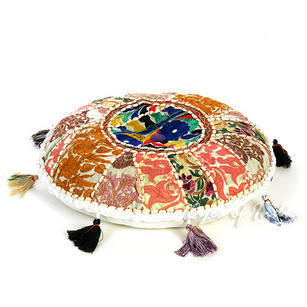 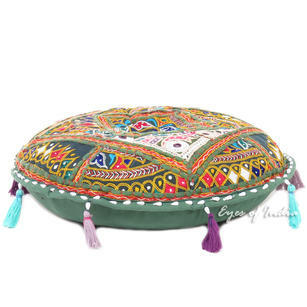 Round Colorful Green Boho Patchwork Decorative Rajkoti Floor Meditation Pillow Bohemian Throw Cover - 22"
Yellow Decorative Rajkoti Boho Patchwork Round Floor Meditation Pillow Bohemian Cushion Throw Cover - 22"